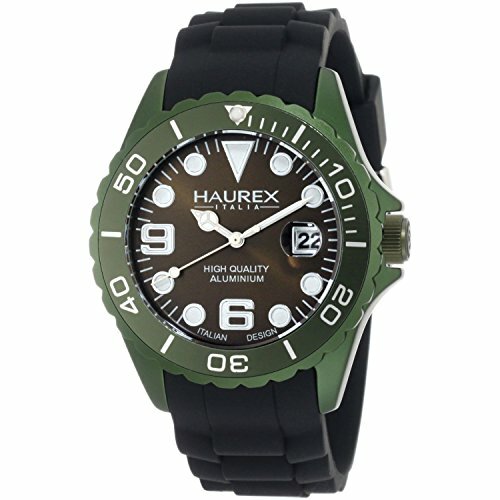 This Haurex INK aluminum sport watch is a real winner. It features an attractive high-quality aluminum case. It has a khaki green dial, case and bezel with luminous hands. The watch also offers a second hand feature and a minute track for added convenience.